Native Instruments Traktor Audio 10 DJ Audio Interface DJParts - All Variety of Parts that DJ Needs. TRAKTOR AUDIO 10 sets the benchmark for DJ audio interfaces thanks to its unrivaled connectivity. With ten inputs, ten outputs, MIDI I/O and mic input, and TRAKTOR 2 Technology Inside, TRAKTOR AUDIO 10 is destined to be the beating heart of your DJ and performance setup, live on stage or in your home studio. 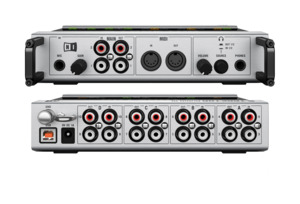 The successor of the highly acclaimed AUDIO 8 DJ has been carefully refined, now achieving a new level in connectivity and performance. 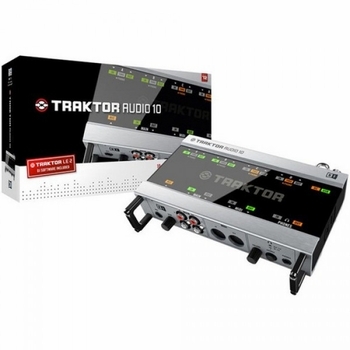 With ten inputs, ten outputs, four phono preamps, MIDI I/O and mic input, TRAKTOR AUDIO 10 will satisfy even the most demanding DJs.